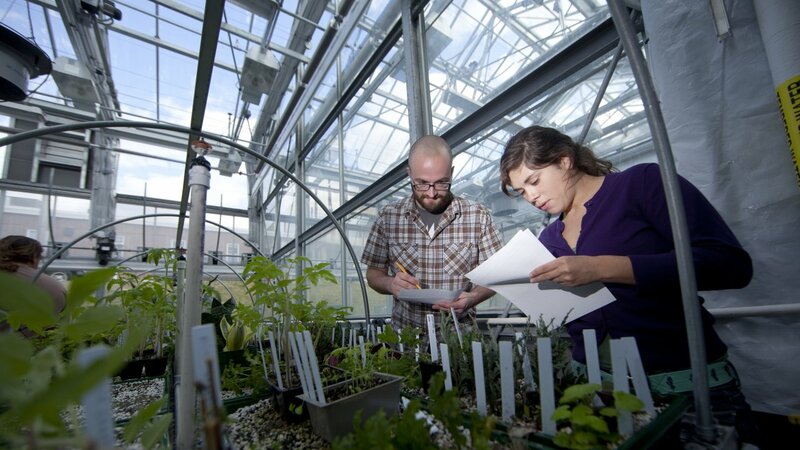 As the flagship campus of the commonwealth, UMass Amherst has been a leader in agricultural research and green education since our founding as a land grant institution in 1863. SES brings together a suite of undergraduate and graduate degrees that provide students with the knowledge and professional training to address the environmental challenges of the 21st century. Explore the different aspects of sustainability through 300-plus courses. UMass Amherst offers over 20 majors related to sustainability. The university has variety of graduate programs focused on sustainability, including a MS in Sustainability Science. The university offers concentrations and certificates related to sustainability. The Stockbridge School of Agriculture at UMass Amherst offers sustainability-related associate degrees. Get credit for cultivating sustainability on campus through either the Eco Rep Program, Permaculture Gardening Program, or Sustainability Fellows Program. UMass Amherst has a variety of research centers and institutes spanning disciplines and specialties. Research Next is the campus's official window into the research, scholarship, and creative activity. UMass Amherst Libraries are engaged in: fostering sustainability innovations; collaborations with campus partners; educating students to create a healthier, just, and responsible world; supporting the integration of sustainability across the curriculum; modeling green practices; honoring diversity and inclusion; and promoting open access. The program allows undergraduates to perform hands-on summer research while earning a stipend and provides a unique opportunity to network and collaborate with leaders in the field of wind energy.